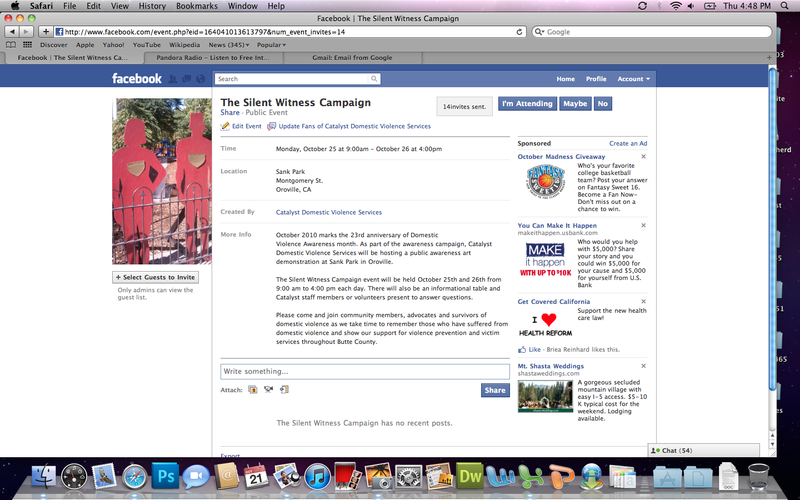 My objective is to pursue a career at a non-profit organization working in public relations or marketing. After my experience interning at Catalyst Domestic Violence Services and the Petaluma Downtown Association, I've realized that working for a non-profit is much more fulfilling than any other job I've held and I would like to continue to do so after graduating from college. I have gained more of an interest working in the tourism industry, helping to promote and "package" Petaluma as a desirable destination for everything from wine to cheese to river tours! In December of 2010, I walked across the commencement stage at Calfornia State University, Chico, earning my degree in journalism with an option in public relations and a minor in marketing. Since then, I've moved back to my hometown of Petaluma in the north bay area and I began an internship working with the Petaluma Downtown Association and Visitors Program. 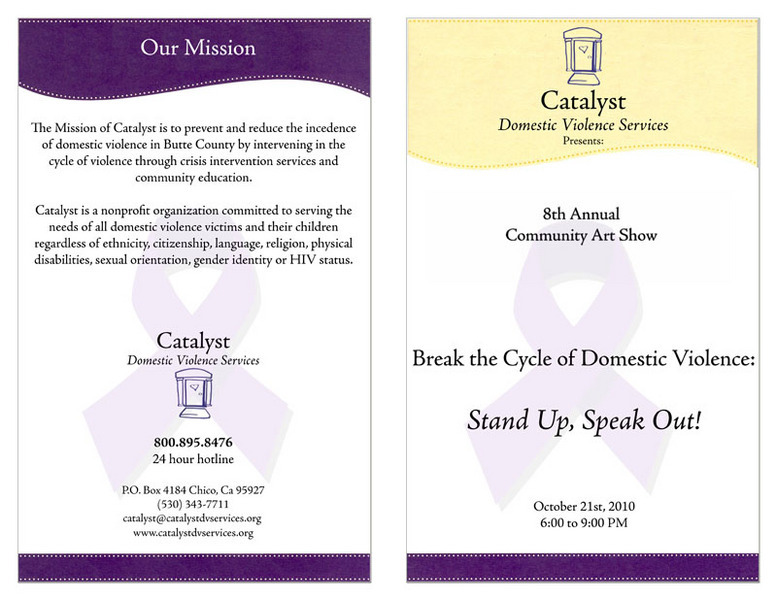 During my last semester at Chico State, I was a PR Intern for Catalyst Domestic Violence Services learning how to successfully engage and inform a large audience about domestic violence and available services through community education, crisis intervention and social media. I'm currently searching for that perfect entry-level career where I can grow and get more hands-on PR and marketing experience. I'm always positive and upbeat about any challenges that I might face and I try not to let the small stuff get me down! If you're interested in contacting me, please use the e-mail address listed above or you can follow my tweets on Twitter. 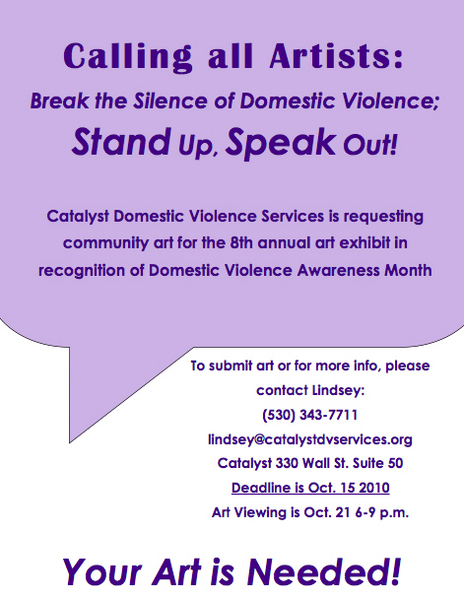 I'm currently the PR intern for Catalyst Domestic Violence Services. I help to create flyers, graphics, Powerpoints and other informational pieces that are distributed throughout Butte County. 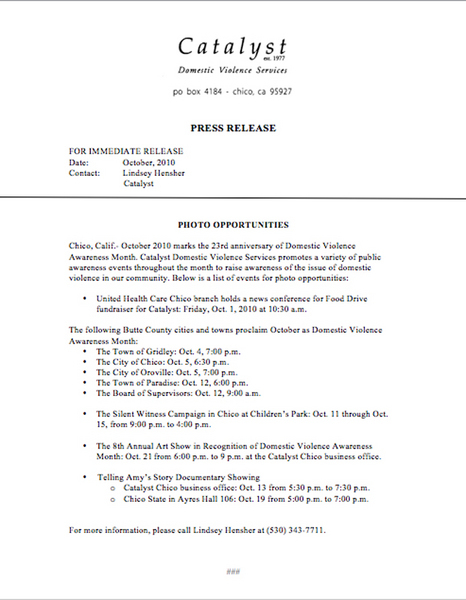 I also help to update the organization's Facebook page and I'm currently on the Domestic Violence Awareness Month Committee, where I help to plan and organize all the local events happening for Domestic Violence Awareness Month in Butte County. 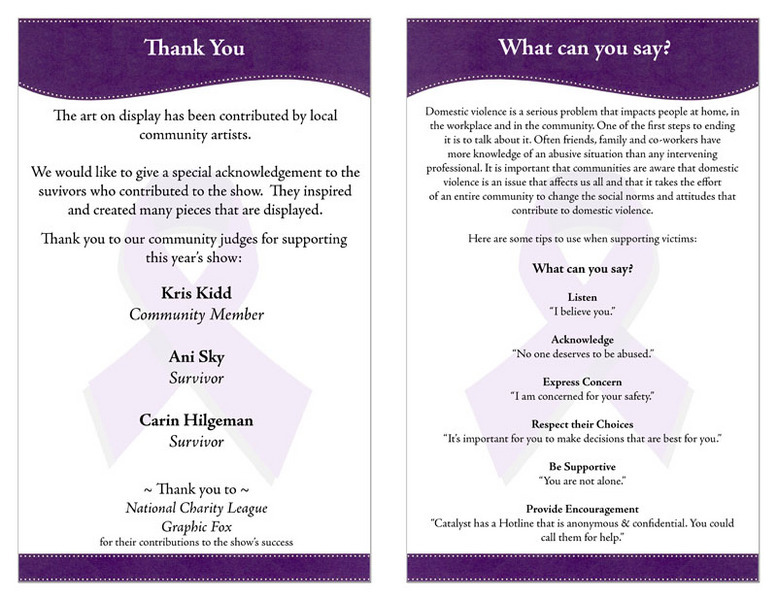 I'm also working on organizing a promotional campaign for our yearly fundraising event called Evening with Catalyst. Working with the Petaluma Downtown Association & Visitor Program, I've gotten the chance to help research and create parts of the new 2011 Petaluma Visitors Guide, write press releases about upcoming events in downtown Petaluma, as well as help to coordinate large events such as the Butter & Egg Days Parade and the Spring Antique Faire. I'm also a part of the city-wide marketing committee and I help to organize and create the PDA newsletter which goes out to over 200 subscribers using the marketing service Constant Contact. On a day-to-day basis I also get the opportunity to talk with visitors who come from all over the world to visit Petaluma! I was a food server and bartender at Marisco's Ixtapa. We were a restaurant that specialized in Mexican and seafood specialties. Our Blue Point Oysters and homemade shrimp ceviche were amazing, probably the two most ordered food items. I specialized in taking food and drink orders, interacting with all customers that entered the restaurant, making drinks, bussing tables and cash handling. The atmosphere of the restaurant was always upbeat and busy so I learned to become fast on my feet and a great multi-tasker. At California State University, Chico I learned to be an independent, responsible and distinguished student. I learned skills that helped me to build my own website, how to be a great group member by participating in many team projects and presentations, gained knowledge of news writing and AP style and created a comprehensive public relations strategy campaign for the Gateway Science Museum as the Business Director. Also, while at Chico State, I met some of my best friends either through joining a sorority, in my classes, or while living in the dorms. Although my time in Chico is through, my college experience was one that I'll never forget. Chico State has equipped me with the knowledge, skills and heart I need to become successful in whatever endeavors I come across. 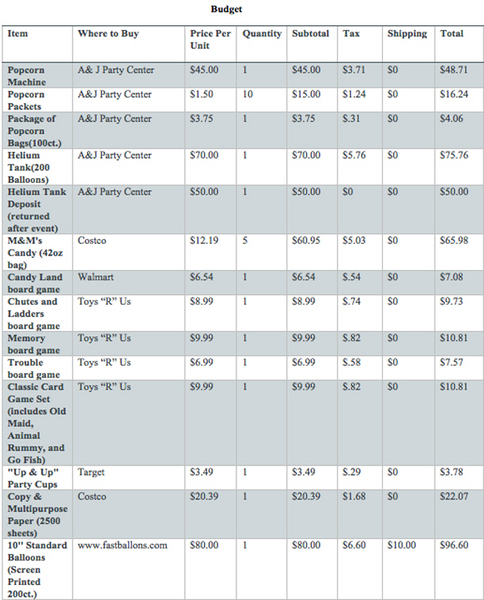 I am completely proficient in Microsoft Word, Excel and Powerpoint. I'm still learning how to use Microsoft Publisher.